Oh, a little bird told you, did it? Twitter has apologised for messing up after a journalist was suspended when he tweeted an NBC exec's email address. 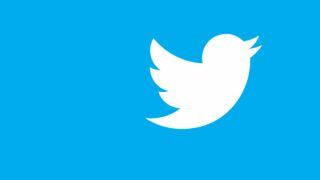 The apology comes hidden away within a blog post outlining Twitter's trust and safety policies regarding private information posted on the site. Although the site quibbles over whether a corporate email address should be deemed private information or not, Twitter concedes that it should not have flagged up Guy Adams' tweet to NBC, which it is partnering with over the Olympics. "We want to apologise for the part of this story that we did mess up," the company's general counsel Alex Macgillivray wrote. "The team working closely with NBC around our Olympics partnership did proactively identify a tweet that was in violation of the Twitter rules and encouraged them to file a support ticket with our Trust and Safety team to report the violation." Many Twitter users were concerned that Twitter had sold a user out to NBC by flagging up a tweet featuring one of its email addresses that may otherwise have gone by unnoticed. It raised all sorts of questions over whether Twitter would be ratting users out to other companies rather than waiting for complaints from the affected parties before taking action. For a company that has always been kind of cool about this sort of thing, often fighting for its users rights in court and generally being a decent sort, it was quite a PR blow. Macgillivray concluded, "We do not proactively report or remove content on behalf of other users no matter who they are. "This behaviour is not acceptable and undermines the trust our users have in us. We should not and cannot be in the business of proactively monitoring and flagging content, no matter who the user is – whether a business partner, celebrity or friend."